to have got a head start on winter here with early snow. The full moon coming up over our woods. weeks ago and it is a neighbors farm. This reminds me of a winter puzzle. Very lovely scenes! Winter can be so beautiful! 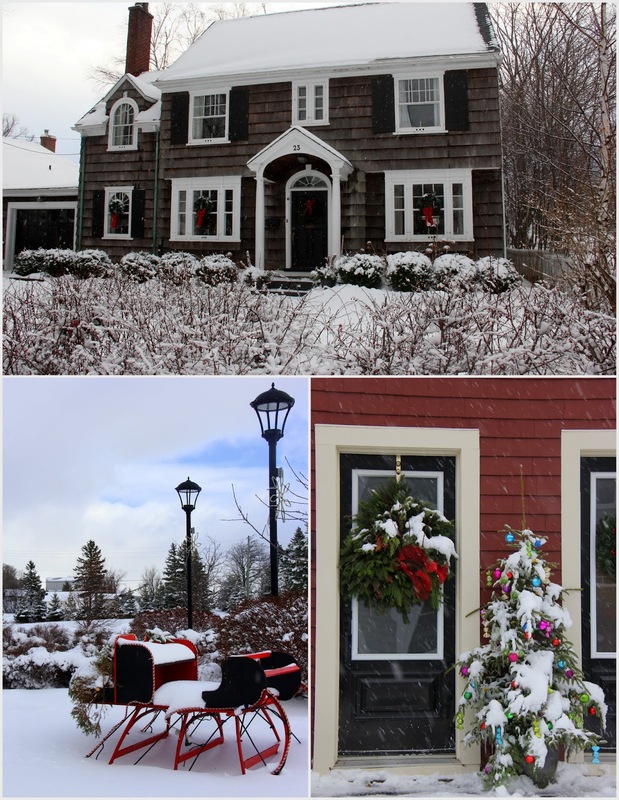 Beautiful photos of Charlottetown, Carolyn. Have a wonderful Christmas! Beautiful way to get in the Christmas spirit! 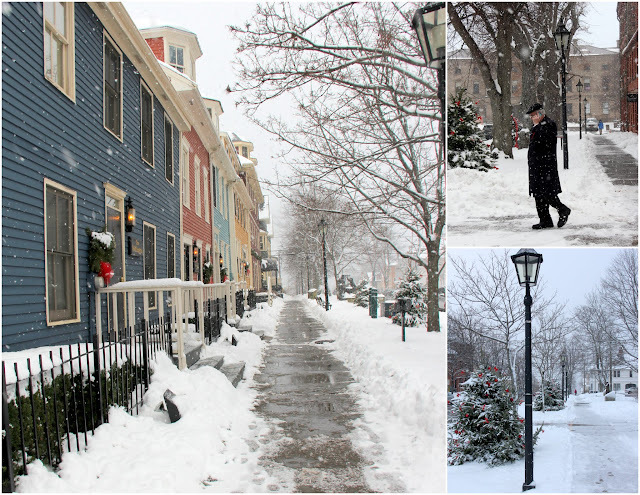 Thank you for sharing the wonderful snowy pictures Carolyn! I love the country church and the neighboring farm. Prince Edward's Island is one place I'd love to visit! What wonderful old buildings and I too love how the trees about town are decorated and then covered with snow. Your blog is always such a treat to me.... eye candy for sure. We have lots of snow here in central Oregon too.. beautiful but a little too much for my way of thinking. Hard to get around and very treacherous sometimes with the ice on top. Take care and enjoy the rest of this week. I finally did a little baking and more to do.. but seems so much a part of the holidays. Merry Christmas to you and yours. Wow! You live in such a beautiful place ! It all looks so festive too ! Thank you for sharing your beautiful images with us. Such lovely wintery scenes that make Christmastime extra special. Wishing you and your family a healthy and happy New Year.